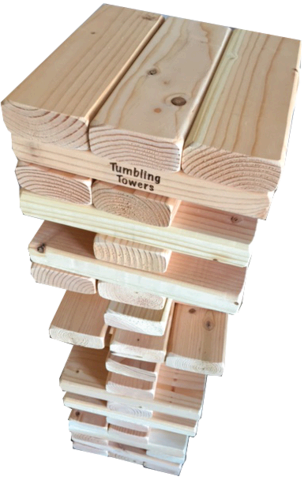 This is the Biggest Wooden GIANT Tumbling Towers™ available! It includes 54 pcs (each piece is 10.5″ Long) with 18 rows of Tumbling Tower Fun. This jumbo set starts at 2.5ft Tall and STACKS up to 5+ft Tall during play. 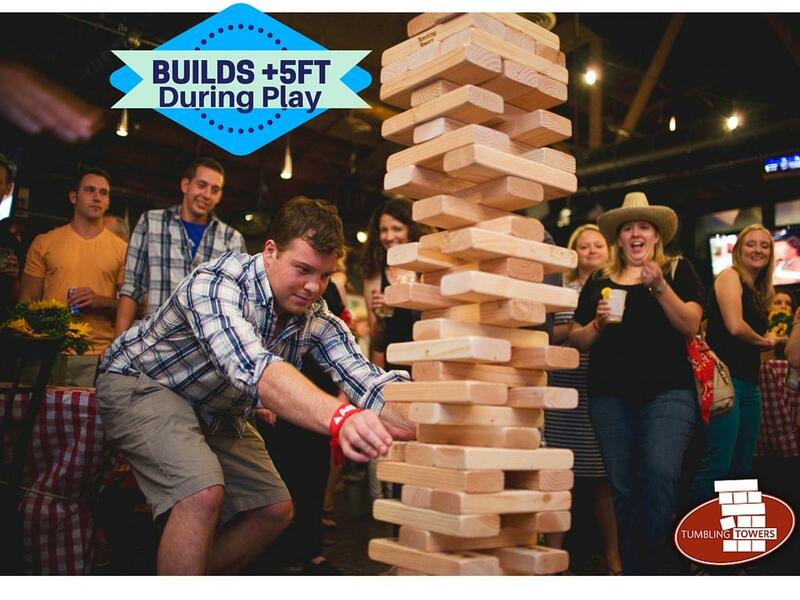 This Giant 2×4 Tower set can be enjoyed both at any indoor or outdoor party. This oversized set is perfect for any group event or party. Have fun!!! PLEASE NOTE: This is a supplemental rental which requires a delivery fee if rented alone.